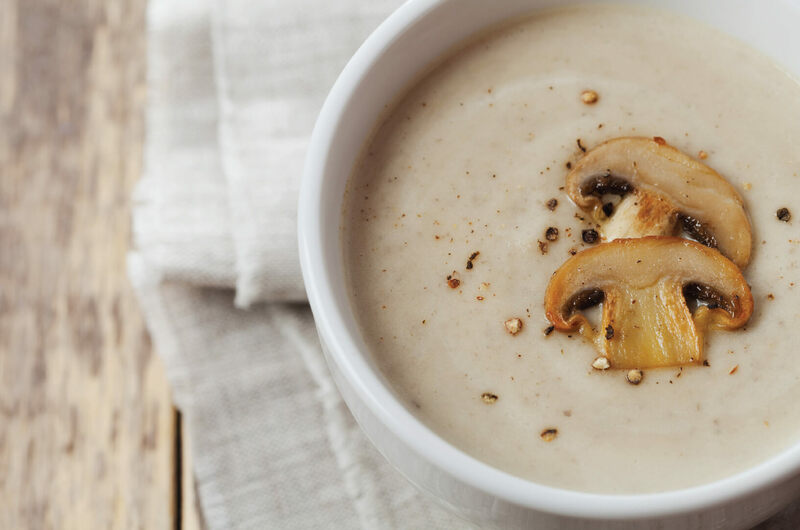 This creamy soup will be a HUGE HIT for your family and friends! Full of nutrition and fiber. This soup will fill you up and keep you full for hours! 1 heaping tablespoon of Restore Micro Sliced Chia. Add mushrooms, onion, carrots and garlic into pot. Turn heat to medium and keep at low boil for 25-30 minutes. Blend for 60 seconds or until completely smooth. Allow to sit for 2-3 minutes.